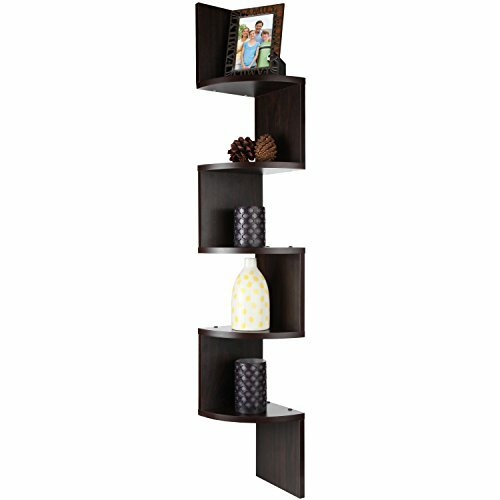 Corner shelves add an attractiveness and practicality to our corners. 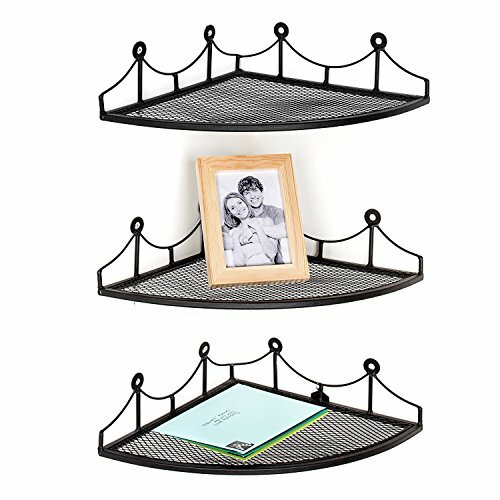 Whether they are in the living room or in the bathroom, corner shelves make our lives so much easier. Finding a place to put things these days can be a challenge. It gets to a point where you have to keep putting things to store-a-way higher and higher and behind that thing which is behind that thing. But when you need that item or items, you now need to climb up to get it or move stuff away to reach it. But that is where the corner shelf comes in. It adds easy accessible storage space without taking away from your already diminishing space. And they come in many styles. 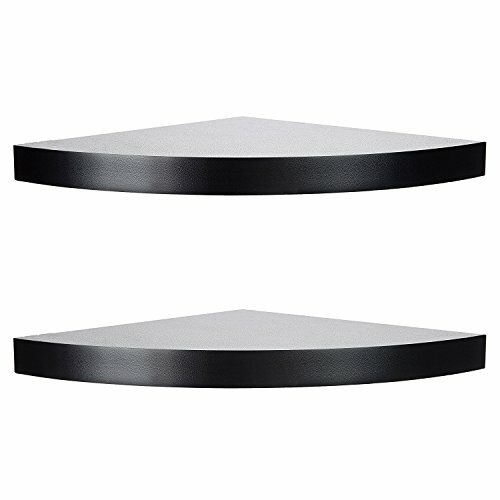 There are standing corner shelves, floating corner shelves , shower shelves , glass corner shelf units and more. And with the many styles and designs out there you get the practicality and attractiveness combination you will love. For your home office needs check out our best desks for small spaces. 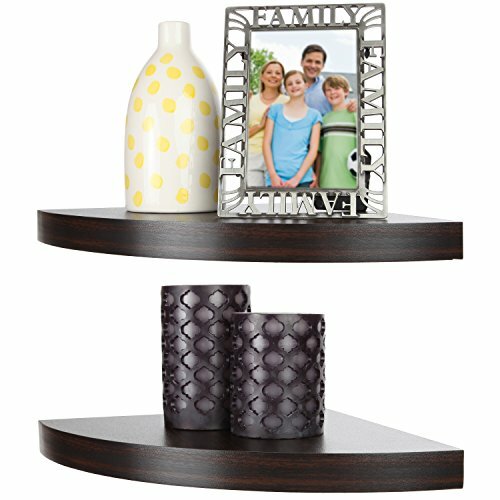 Corner shelves are perfect to store things in any room of your house. Do you need an accessible place to store some dishes, recipe books, ingredients or cleaning solutions in your kitchen? 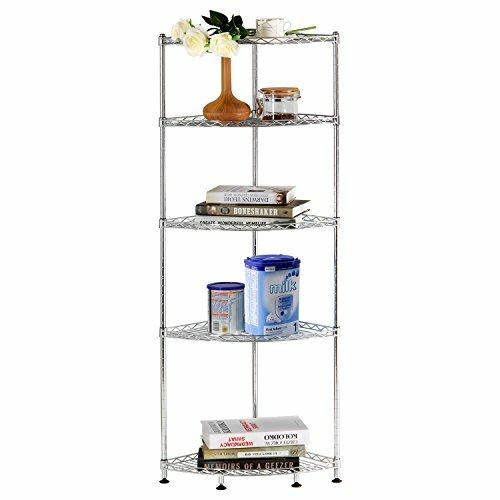 A metal corner shelves unit with adjustable tires would be perfect for that! Do you need a small storage unit for your bathroom, one that wouldn't occupy too much space and where you could safely put your shampoo, soap, toothbrush, towels or cleaning solutions? 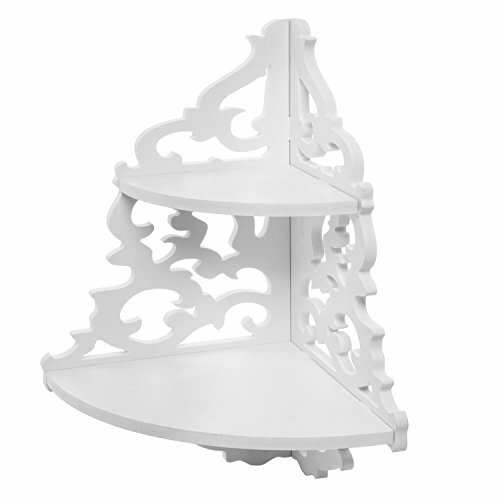 A high-quality corner shelves unit, resistant to steam and moist would perfectly fit in there. 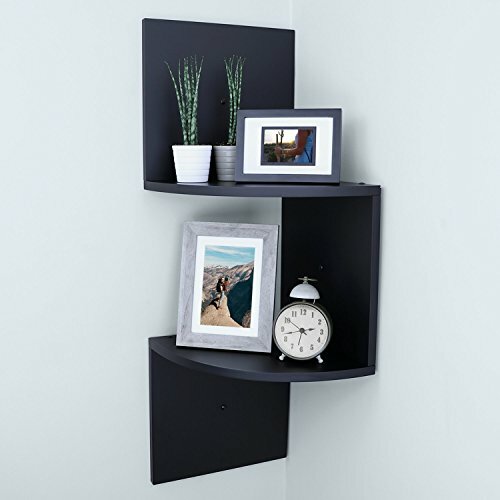 And we can continue just in the same way, if you need some shelves in your living room, where you could store some photographs, or some more space in your room, to store your books on...corner shelves are simply great for any corner of your house. They are beautifully and diversely designed, they come in different, exquisite colors and they can simply make your room much more spacious and welcoming. For instance, a zigzag corner shelves unit can adapt very delicately to a modern room with a sophisticated architecture that implies geometric shapes, while a round or a classical shelves unit can do well in any kitchen or hall. Also regarding the design of the room, a chess-like colored shelves unit, in zigzag squares on black and white in the corner of your office would look definitely gorgeous! All the patterns described above and many more can be found by you right now on our website. 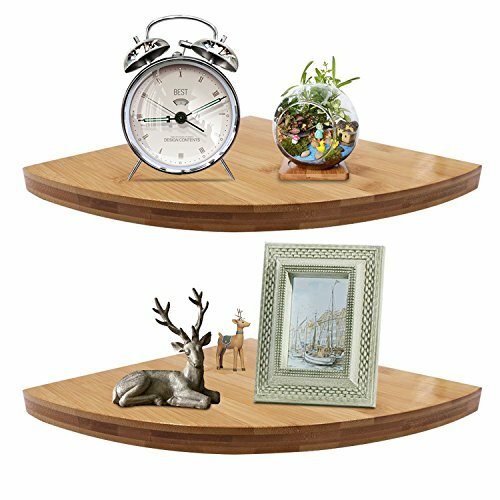 We selected the most beautiful designs of corner shelves for your home and we are ready to help you pick the perfect one! How do I convert the corner of my room from being boring to looking stylish and beautiful? This could be a question that gives you a migraine and sleepless nights. 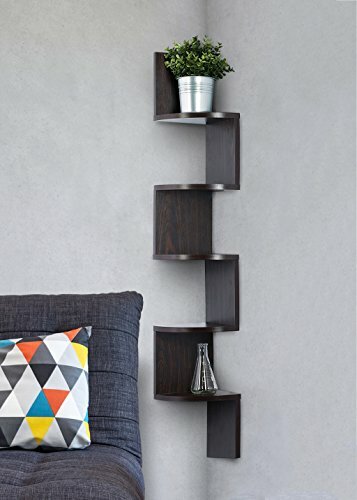 Forget it because corner shelves are a great idea to implement in almost all rooms. 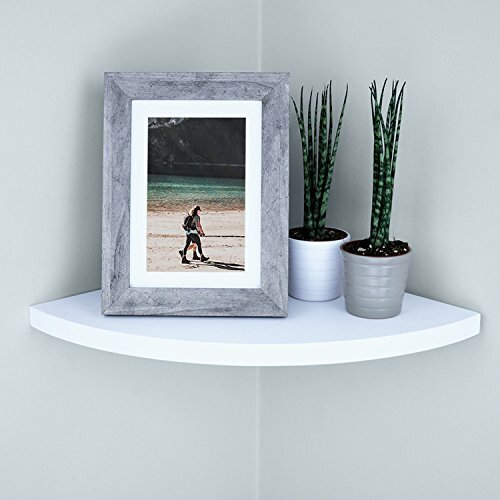 Utilizing corners is excellent using shelves to ad storage space to put your art, picture frames, and other collections on display. Your space doesn’t have to accommodate everything that you do not use because of lack of space. Creating small corner shelving units in different rooms like the bathroom, kitchen and living room is a great idea to store a few stuff. Corner shelves can be used as book storage spaces. Do not let your novels and encyclopedias get dog-eared because of reckless handling. Corner bookcases can be purchased in stores or done as DIY projects. Apart from being bookshelves furniture, they can be done as corner shelves for kitchen storage. If you do not have a spice rack, this is a good idea to take up. Store your ingredients in tightly closed containers to allow for easy access while cooking. 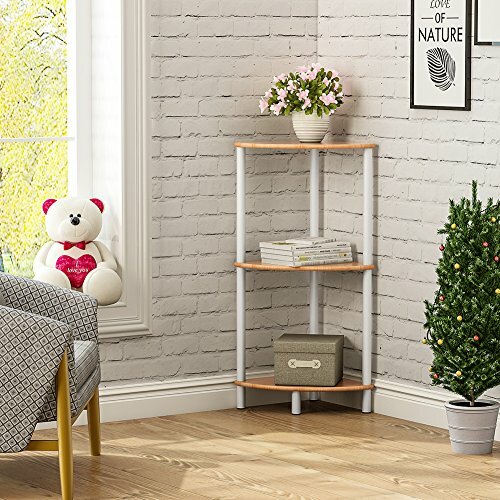 Corner shelves for living room are excellent to place to put your flower vases, lighting fixtures with stands and other items for general use by the family like hymn books, recipe books and short hand notebooks that can be needed for use at any time. Office spaces need to look well organized. You can hack this by using a corner shelf unit for office to store files, reference books, office stationery, small office equipment and paper material that aren’t used often but are still vital. Plain, overlooked and underutilized corners make a room look dull. 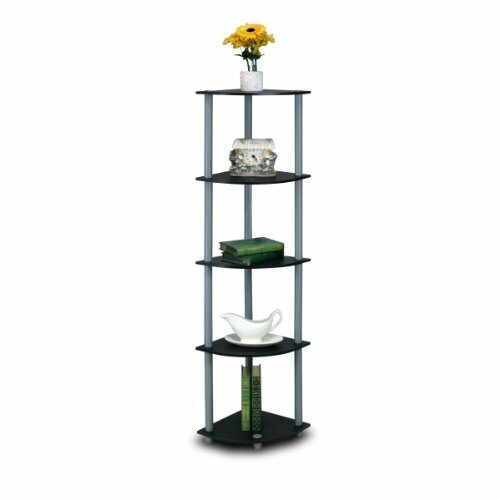 The aesthetics of a home or an office space can be improved mounting corner wall shelving units. This can be done by choosing different designs of corner storage shelves and paint them according to your preference. To make them more slightly, place beautiful picture frames, flower vases or other art pieces that will add to the beauty of your space. 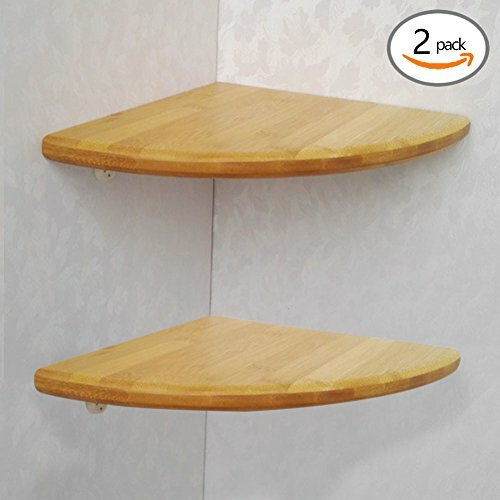 There are different types of corner shelves that are named depending on the material used in crafting, how they are screwed to the wall or mounted and how they appear after mounting. These are corner shelves for the wall that are screwed straight into the wall right at the rear side. From a close or far look, they appear to spring in a forward direction and do not have a floor-standing frame or supporting brackets. They can be made in shapes like triangles, squares, rounded or scallops. Normally, they are a few inches thicker and are made of manufactured wood. 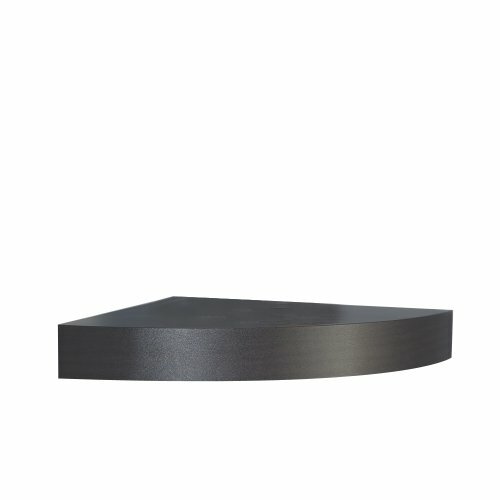 These wall mounted corner shelves are durable due to the finishes applied on them. 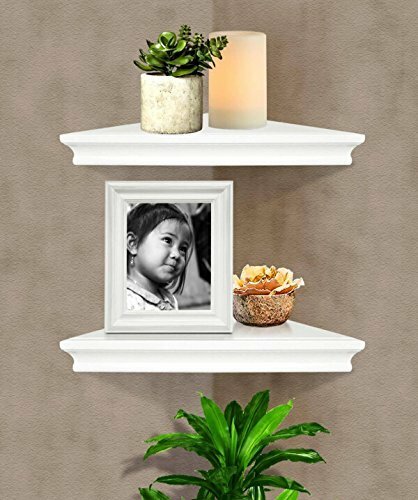 You can create a small wood corner shelf for your room if you have left over planks of sturdy wood. 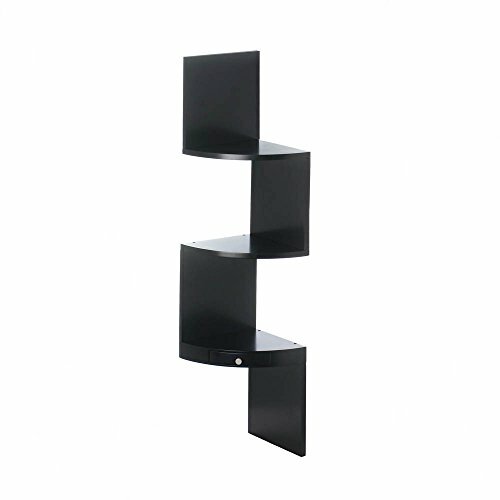 Standing corner shelves have much love because of its ability to be portable. 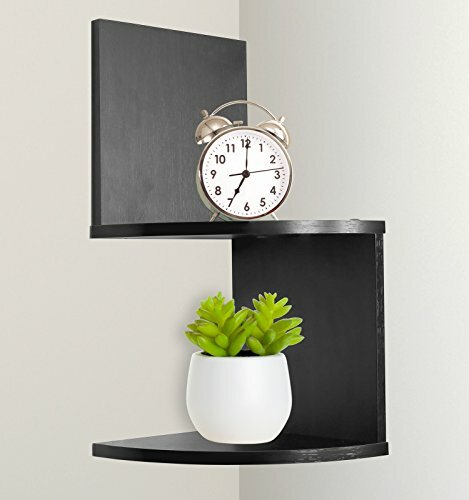 These corner shelf units do not need any nailing or wall brackets. On their own, they stand and blend into the wall. 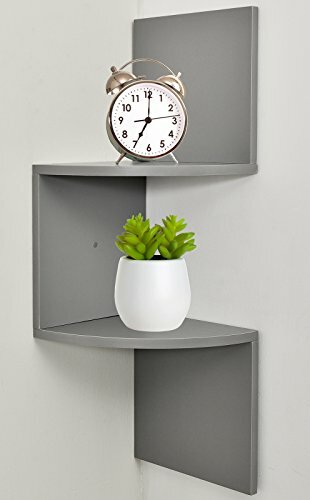 Getting an alternate color of the wall as a paint for this corner shelf unit adds to the beauty of your space. 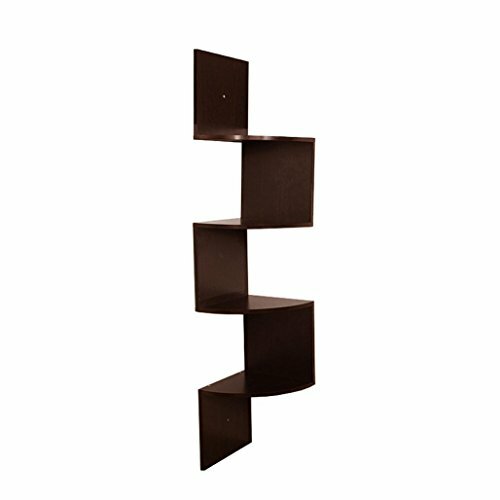 This shelf can be a metal and wood corner shelf for a contemporary look or a corner shelf wood material only. Geometry involves shapes and for shelves, there isn’t a difference. You can employ square, rectangle, triangle or round shapes to give a striking effect to your living room, bedroom, and bathroom and kitchen space. 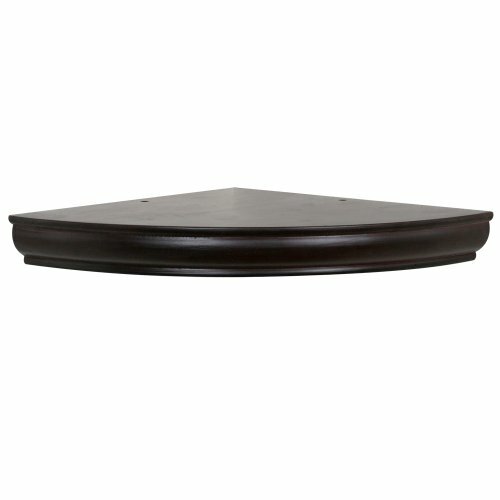 This can be excellent if a corner wall shelf wood material is used and styled using a perfect finish like dark cherry. 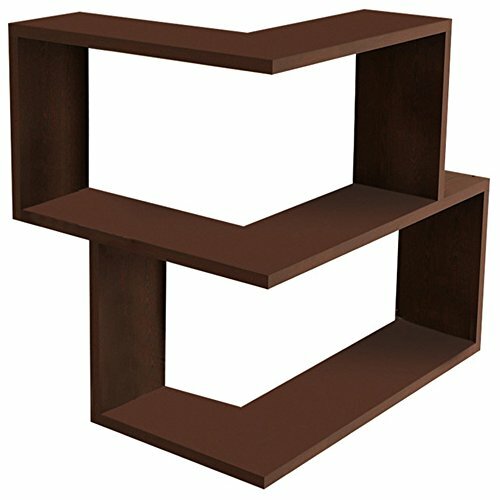 What makes this Franklin shelves corner units unique and distinct is the 90 degree angle that creates a box shape. 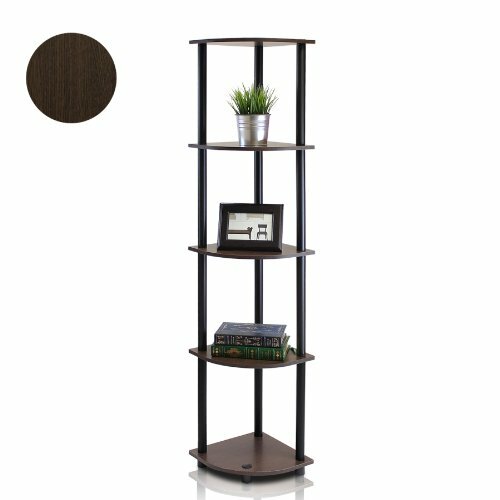 Its compactness and stability is unbeatable and can make excellent corner bookshelf units for storing kids’ storybooks and small sized novels. They aren’t limited to the living room. You can add them in your kitchen and bathroom. 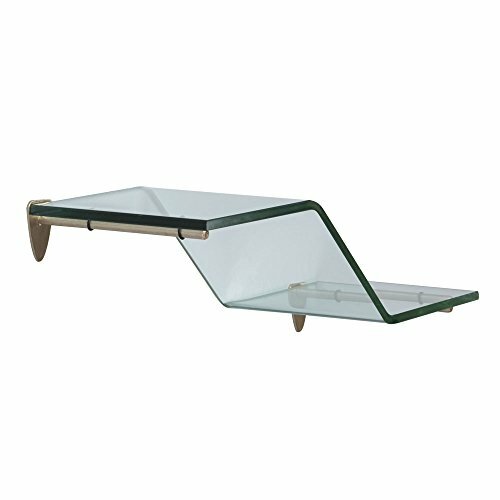 Unlike a metal corner shelf, the glass one is made of entirely glass with nickel hardware for mounting on the wall. Perfect for your modern bathroom, place your toiletries and toilet cleaners and detergent on the small corner shelf. This is a great storage and décor idea. Mostly used in the kitchen for organization, L-shaped corner shelves for wall storage spaces are being embraced for light circulation and easy access of kitchen stuff, ingredients and spices. They can be mounted one on top of the other but at a reachable height. These types can be used as outdoor corner shelves to place on light flower vases and art pieces that can add to the aesthetics of your exterior space. 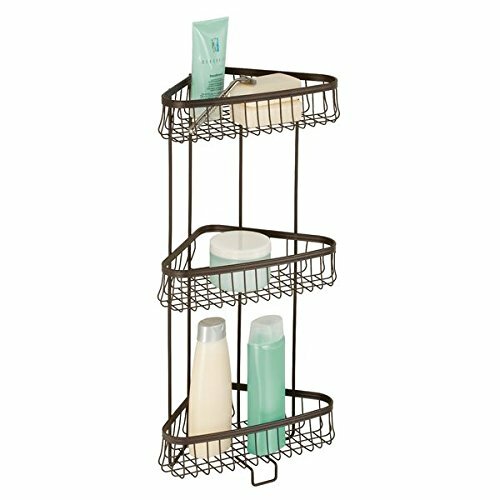 Whether you are living in a tiny New York City apartment or a house in the burbs, one way to make the most use of your shower stall is through the use of a shower caddy. The corner shower caddy comes in different shapes and sizes. 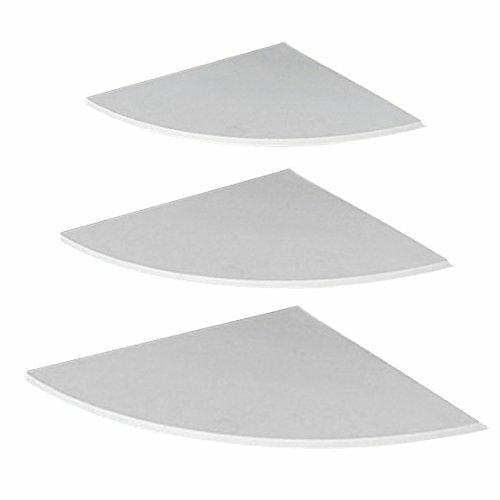 They withstand the toughest conditions and can also ward off rust build-up. This is convenient even for a bathroom that is being used by more than three or four people. Once it is installed, it can fit a bar of soap and including your favorite shampoo and conditioner. 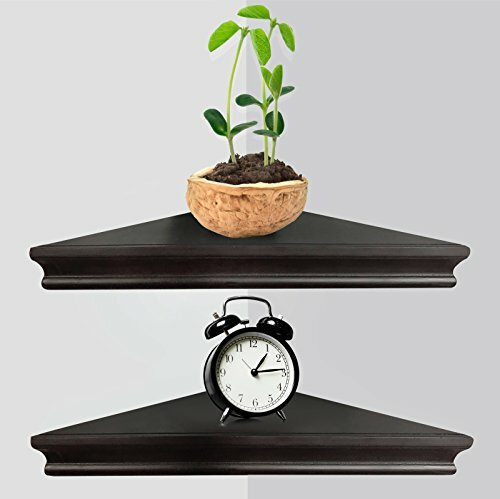 Corner shelves can be customized according to your preference as long as it serves the major purpose of saving on storage space. 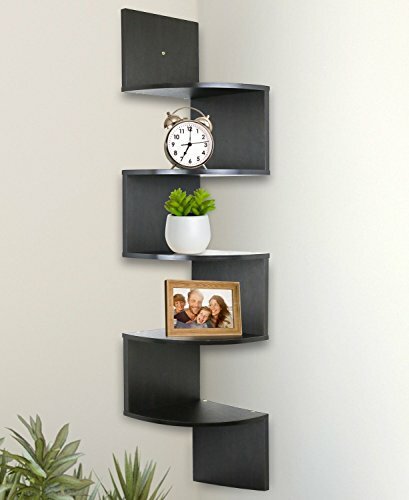 Most wall corner shelves take a horizontal direction along the wall meaning the space to move about becomes bigger. Opening doors like in cabinets require enough space to allow you arrange or get what you need from the furthest corner of the cabinet. This is history when it comes to corner shelves because they are open aired and have no doors. Moreover, including doors on them looks insane and awkward. Corners are the most underutilized areas in offices or at home. Using idle planks of wood as corner bookshelf units is excellent since you can mount a shelf above the other until a reachable height. This will save you from purchasing extra bulky furniture like bookshelves. What you need are sizeable planks of wood or metal if you love a corner metal shelf unit. For instance, kitchen areas with shelves save on space unlike those that have kitchen cabinets. Cabinets, drawers and cupboards for storage are big sized and make a space look crowded. 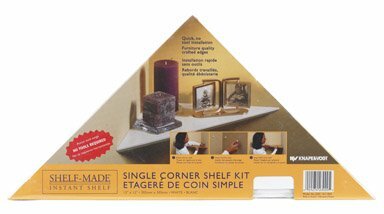 There are so many ways that corner shelf units can help you. Fee free to peruse our curated findings. We're sure there will be a corner piece just perfect for you.